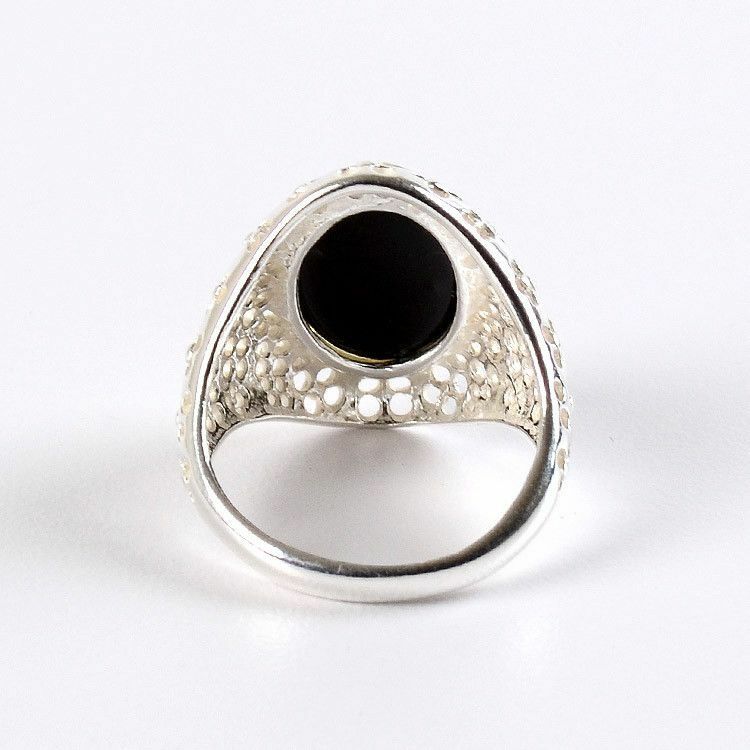 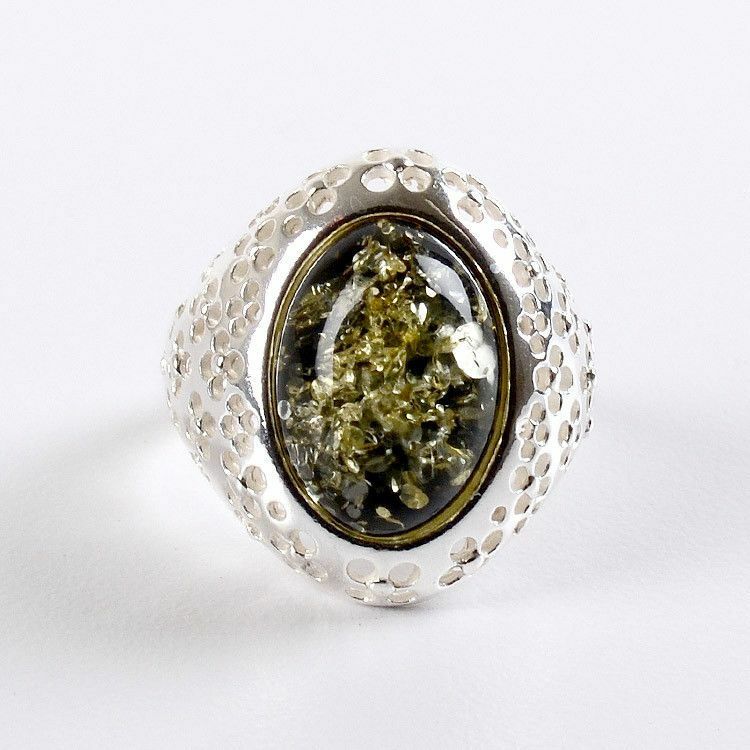 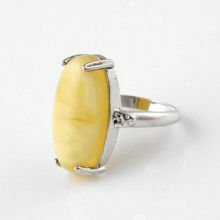 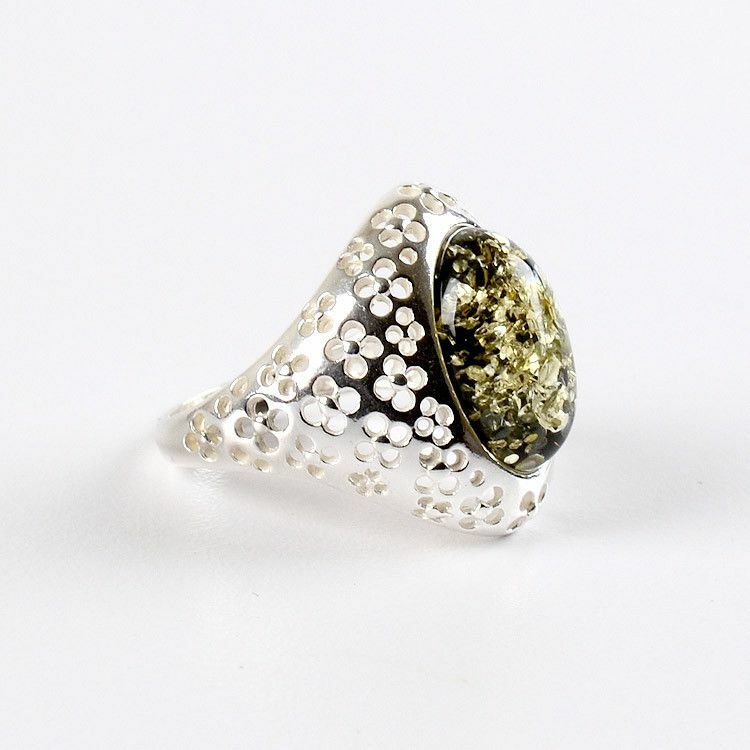 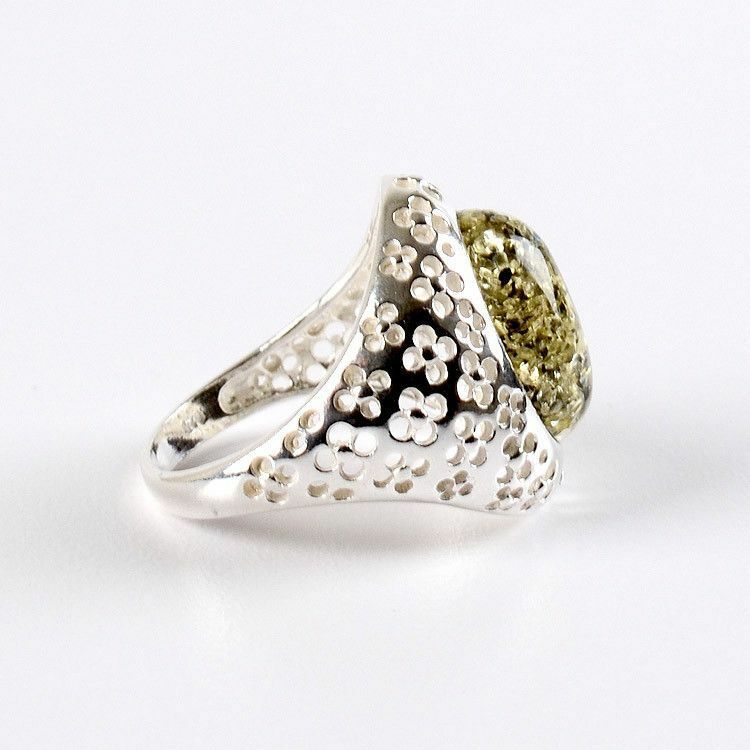 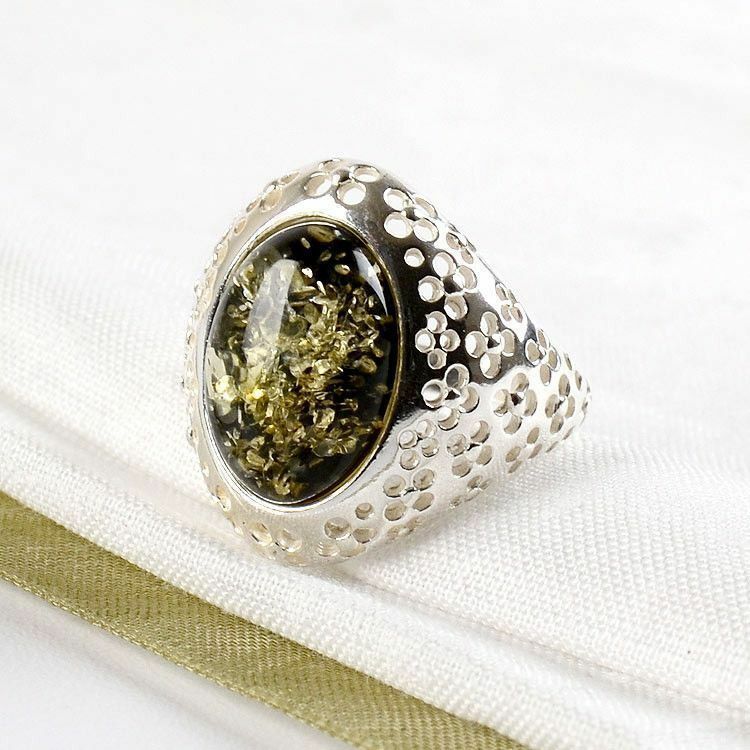 This beautiful and unique ring is made with a polished 5/8" x 3/8" green amber stone that has been set in sterling silver which is stylized with many little cut-out holes, forming a flower-like design. 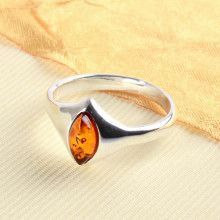 It is available in different sizes and makes a great gift! 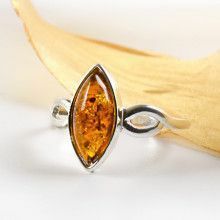 Stone is about 5/8" x 3/8"